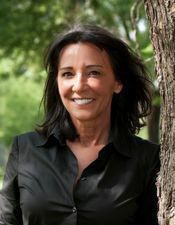 Deborah LeBlanc is an award-winning, bestselling author and business owner from Lafayette, Louisiana. She is also a licensed death scene investigator, a private investigator, and has been a paranormal investigator for over twenty years. She is currently the house clairsendium for the upcoming paranormal investigation television show, Through the Veil. She has previously served four years as president of the Horror Writers Association, eight years as the president of the Writers� Guild of Acadiana, and two years as president of Mystery writers of America�s Southwest Chapter. In 2007 Deborah founded Literacy Inc., a non-profit organization dedicated to fighting illiteracy in America�s teens. Deborah also takes her passion for literacy and a powerful ability to motivate, meeting teens at high schools around the country.